125KHz RFID Reader Kit for Raspberry Pi . Sample tags included. 100mm antenna included. Example software available. 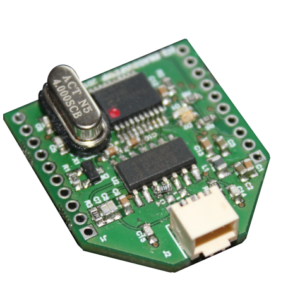 The Long-Range RFID reader for the Raspberry Pi is a complete read and write solution for all of the 5 types of NFC tags. 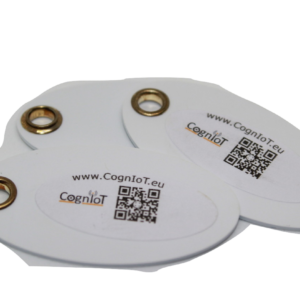 The Long-Range Reader is supplied with iCode label tags and demonstration code to read and write the memory of iCode tags. iCode is a new sub-set of the NFC group of tags. It supports multiple tags in the same field at the same time. 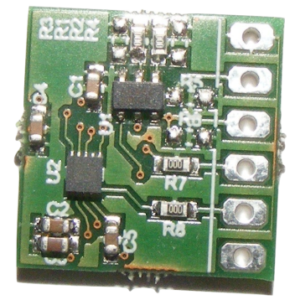 The readers is based on the ST25R3911 and uses the ST Microelectronics libraries which provide examples to read and write all of the 5 types of NFC tags. The user could use this RFID reader to read and write all NFC tags/labels. The iCode standard supports a number of security options including privacy modes, write locks and label destroy. iCode tags can be accessed at from a longer range than many of the other NFC types of tags. With the PCB antenna on the range is typically 8-12cm for a 5x5cm label tag. The Reader comes with an option for a large picture frame antenna. This increases the range to about 25-30cm for the same 5x5cm label tag. See here. Copyright © 2019 CognIoT. Powered by WordPress. Theme: Spacious by ThemeGrill.